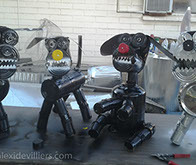 These are my dog sculptures. 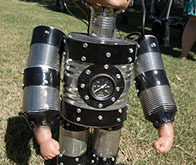 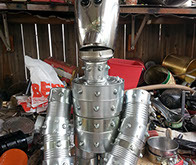 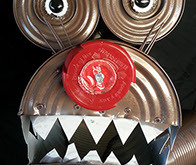 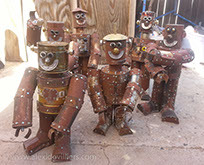 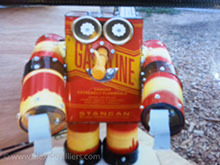 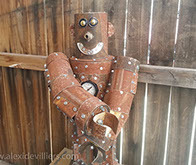 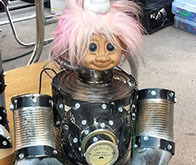 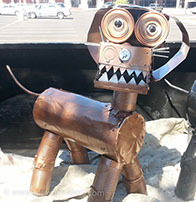 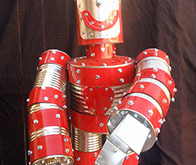 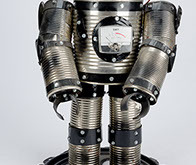 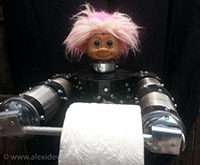 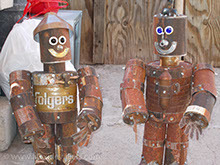 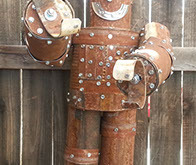 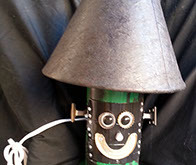 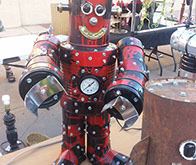 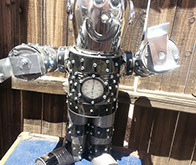 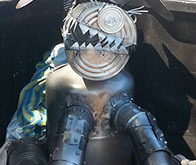 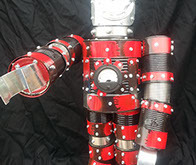 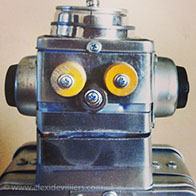 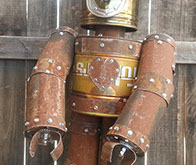 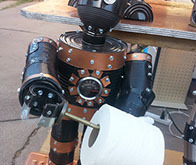 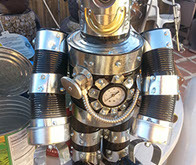 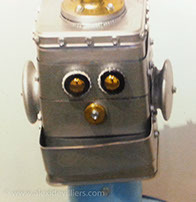 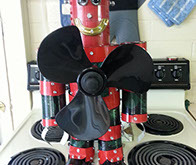 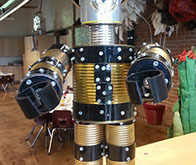 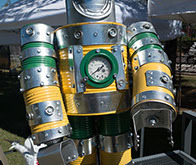 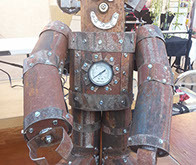 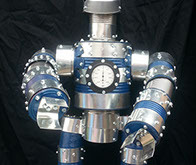 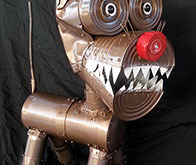 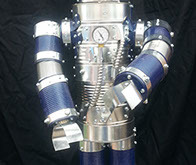 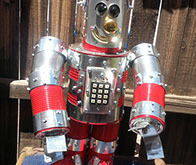 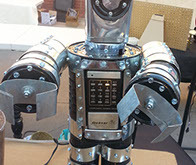 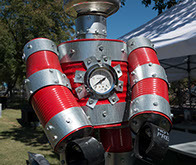 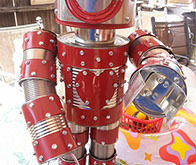 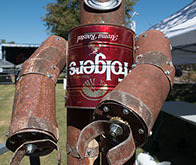 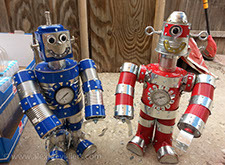 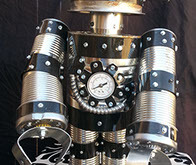 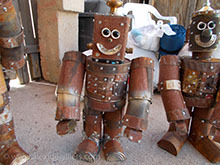 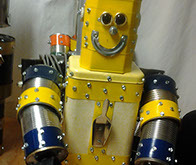 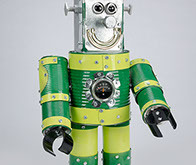 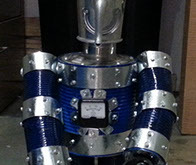 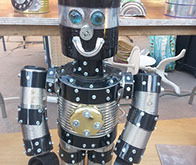 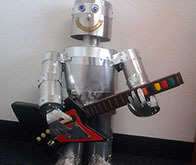 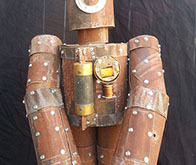 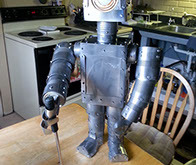 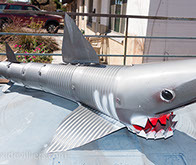 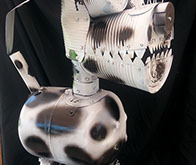 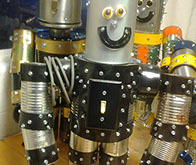 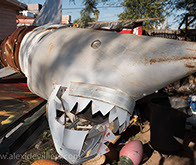 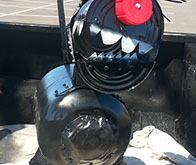 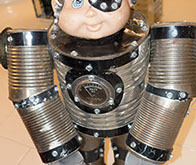 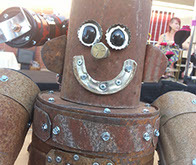 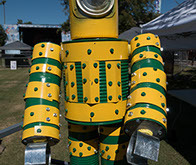 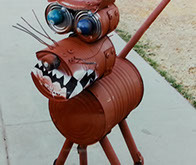 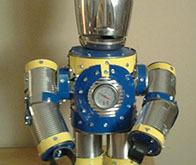 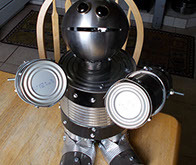 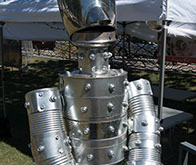 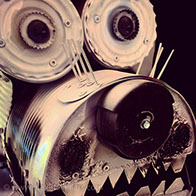 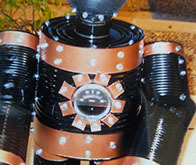 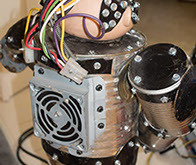 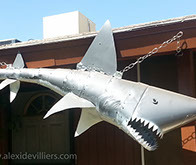 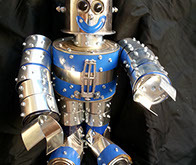 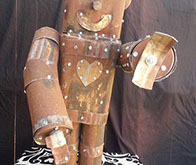 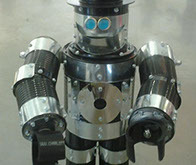 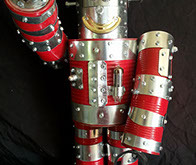 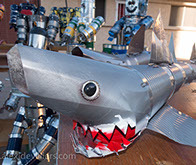 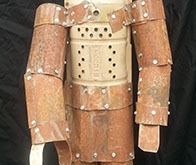 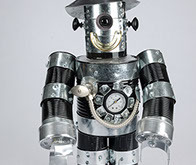 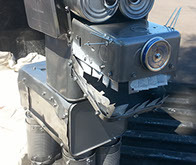 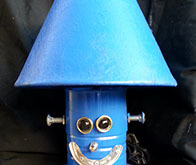 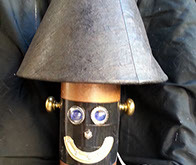 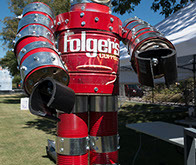 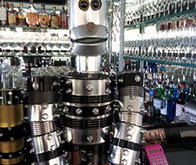 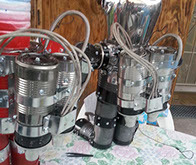 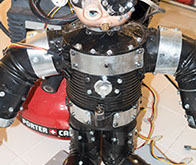 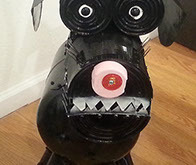 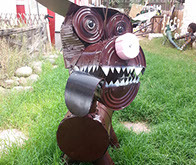 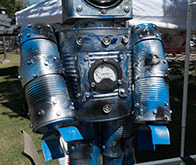 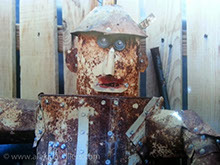 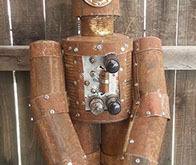 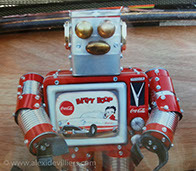 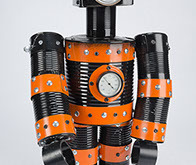 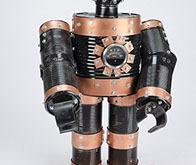 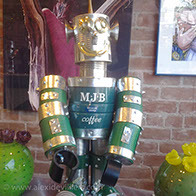 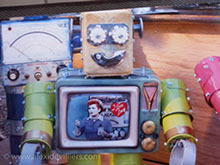 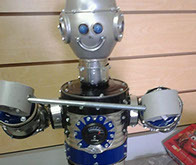 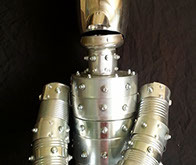 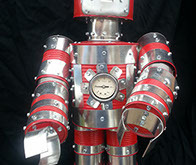 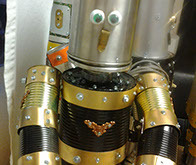 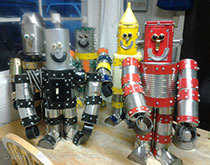 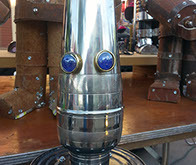 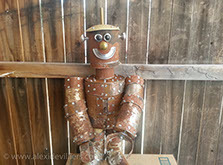 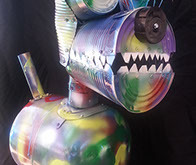 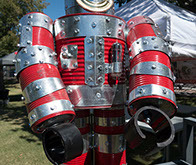 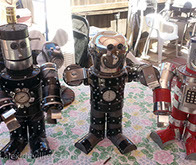 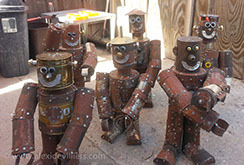 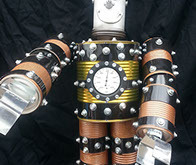 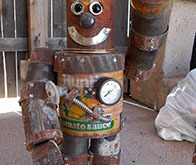 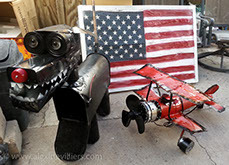 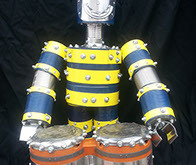 made with recycled cans, empty freon tanks and other recycled metal. 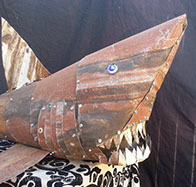 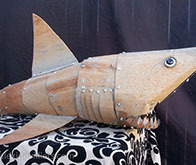 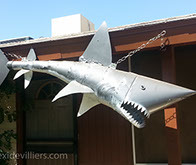 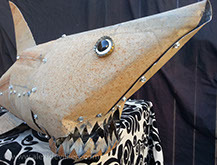 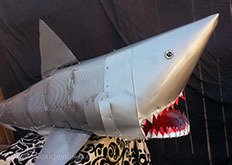 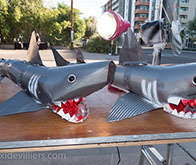 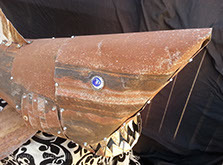 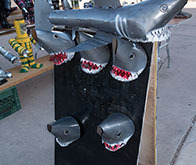 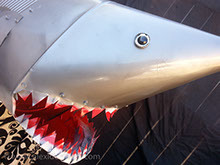 These are my Shark Sculptures. 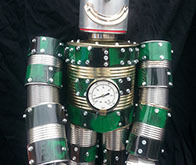 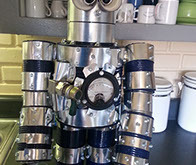 made with recycled cans and air conditioning drip trays and other recycled metal. 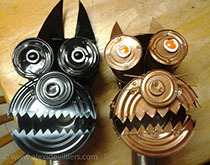 These are my Lamps, Fans and Cats. 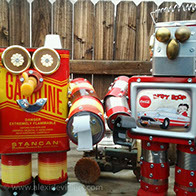 I use recycled empty tin cans, empty freon tanks. 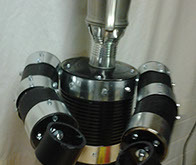 I use New lamp and fan components. 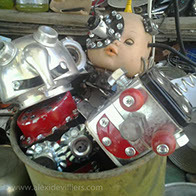 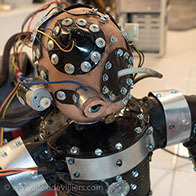 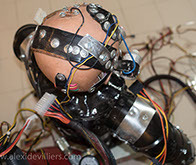 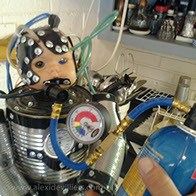 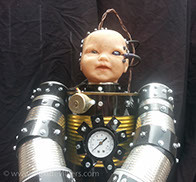 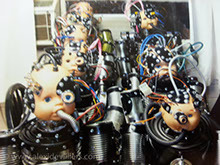 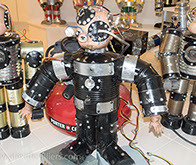 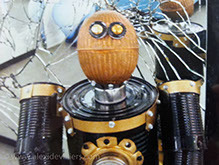 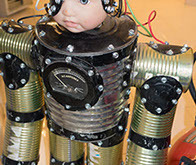 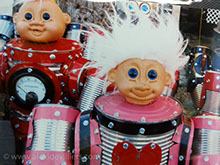 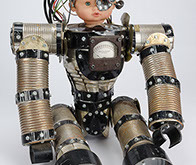 Some...everyone says I'm a little bit demented...but thats good, because I bring you bORG bABYS (borgbabys).